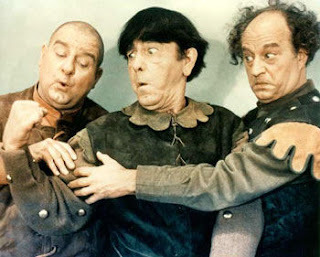 The Three Stooges 2012 ~ Life in The Fab Lame! 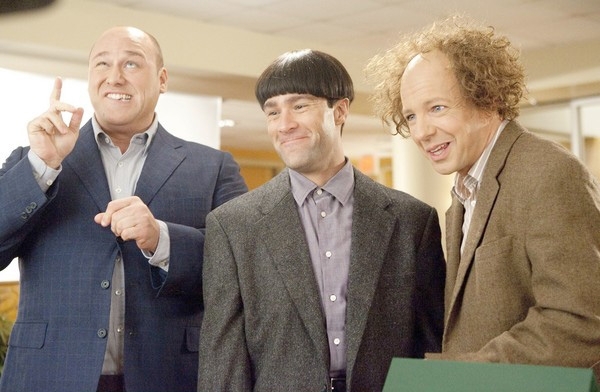 The Three Stooges 2012 featuring Chris Diamantopoulos, Sean Hayes and Will Sasso as Moe, Larry and Curly, also stars Jane Lynch and Larry David. 20th Century Fox, spent $35 million to produce this slapstick comedy. (The Classic Three Stooges) from the episode: All the World's a Stooge, the stooges pull out a tooth in this part of the episode! 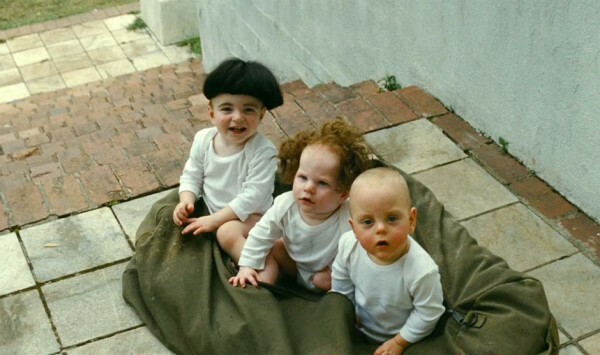 The Three Stooges were an American vaudeville and comedy act of the early to mid–20th century best known for their numerous short subject films. Their hallmark was physical farce and extreme slapstick. 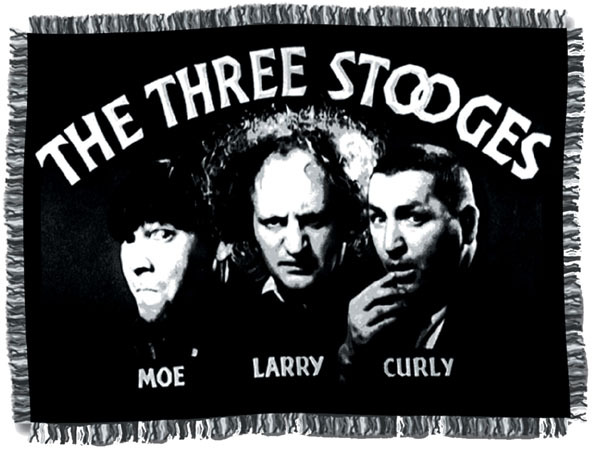 In films, the Stooges were commonly known by their first names: "Moe, Larry, and Curly" or "Moe, Larry, and Shemp," among other lineups. They first started as "Ted Healy and his Southern Gentlemen" which contained Moe Howard, Larry Fine and Shemp Howard. 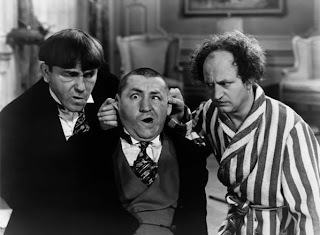 This original trio did one feature film entitled Soup to Nuts after which Shemp left the group to pursue a solo career, and was replaced by his brother Curly Howard. This incarnation of the team was the first to be known on film as The Three Stooges. The original Three Stooges in their film debut, Soup to Nuts. 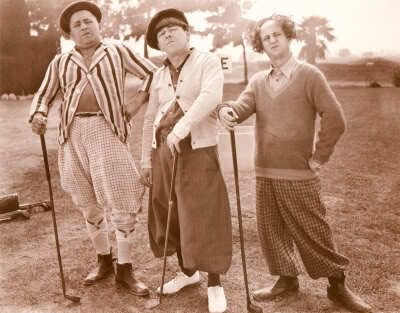 Shemp Howard (far left) was the original third Stooge before his youngest brother Curly Howard assumed the role. 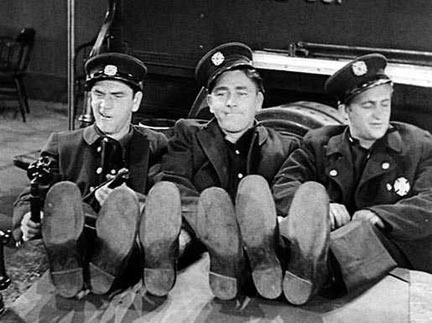 Shemp rejoined the group after Curly suffered a debilitating stroke in May 1946, reinstating the original line-up until November 1955, when Shemp died of a heart attack. As an interim replacement, film actor Joe Palma applied as a doubling Shemp in four Shemp-era shorts, followed by Joe Besser as a long-term replacement. Ultimately, Joe DeRita (nicknamed "Curly Joe") replaced Joe Besser by 1958. The act regained momentum throughout the 1960s as popular kiddie fare until Larry Fine's paralyzing stroke in January 1970 effectively marked the end of the act proper. Moe tried unsuccessfully one final time to revive the Stooges with longtime supporting actor Emil Sitka filling in for Larry. Larry ultimately succumbed to a series of additional strokes in January 1975, followed by Moe, who died of lung cancer in May 1975. The Three Stooges with Curly Joe DeRita filling the role of the third stooge. From the 1961 feature film Snow White and the Three Stooges. The Three Stooges in the short film Healthy, Wealthy and Dumb.